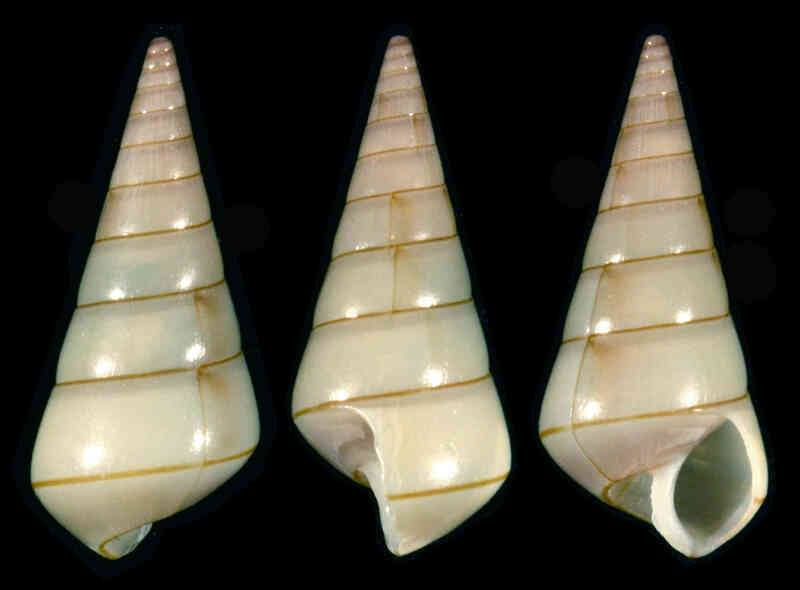 Shell size to 14 mm; shell conical, smooth, sometimes very glossy, with up to 11 whorls, protoconch small, dome-shaped. Color whitish, with thin red-brown band just above suture. The species is known to occur in deeper water in the Gulf of Mexico. The shell illustrated, measuring about 10 mm, was found by Steve Rosenthal on Blind Pass, on Sanibel, on December 20, 2016. It was identified originally as Niso aegles Bush, 1885, which is most likely a separate species.